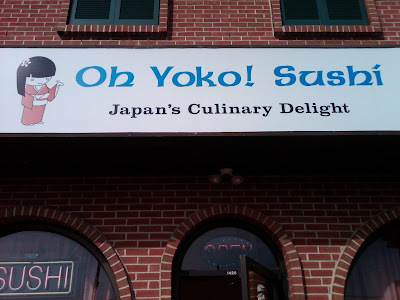 French Fry Diary: French Fry Diary 107: Oh Yoko! 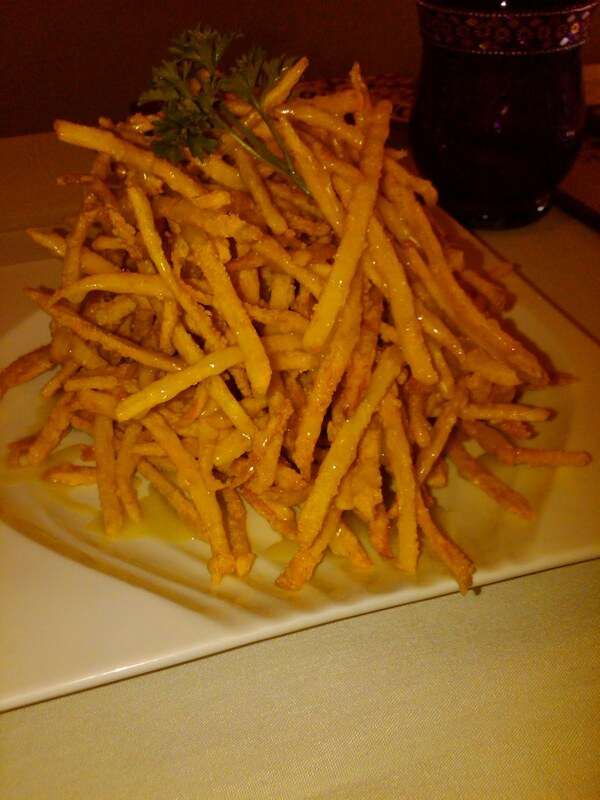 French Fry Diary 107: Oh Yoko! Being a catastrophically picky eater, I’m not one to stray from the standard American cuisine, but I like some Japanese cooking, especially when they do it on a grill. 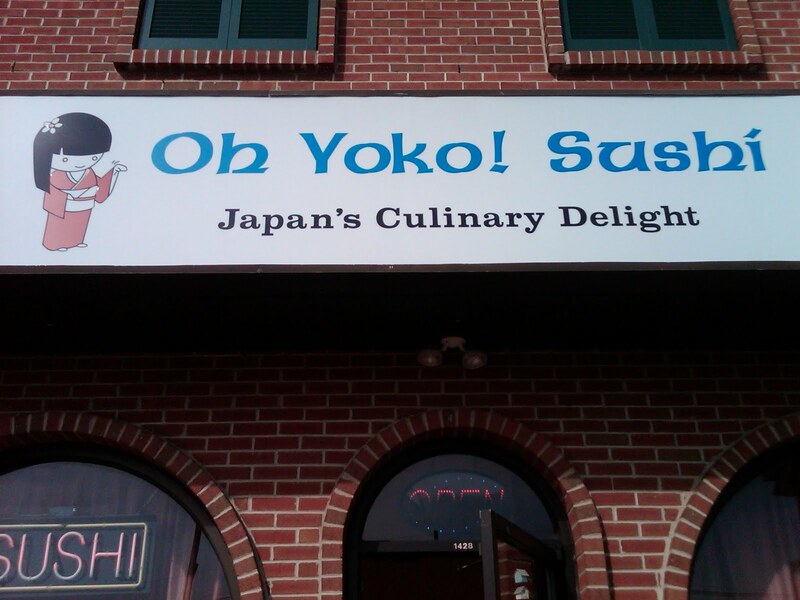 I was checking out Oh Yoko! for their grilling and also because of the cool name and then I saw what hooked me – they had fries! I was sold and we were off. Oh Yoko! is a very nice place squeezed into the same shopping center as Andreotti’s and Big Cheez, and it’s a great little place. They need better signage so folks don’t miss out on what could be a great eating experience. The atmosphere is terrific, and just as might be expected, the décor is a mix of traditional Oriental alternated with photos of the Beatles, John Lennon and Yoko Ono – what a clever theme. The music on the overhead speakers even reflects the Lennon concept. We had not even been served yet and I love this restaurant. The waiter was extremely friendly and helpful, especially to this theoretical novice to Japanese food. He explained all the dishes, and that the sauces were all homemade, and when he saw me struggling with the chopsticks he even gave me a Fun Chop chopstick helper attachment to make it easier. When the fries arrived I learned very quickly that wasabi is hot, very hot. I don’t know if I can describe how hot, but wow, and that’s a good wow. It burns at first taste but is very pleasant afterward. So good that I kept eating after the first burn – so let me clarify – it’s a good hot and a good burn. I was a wasabi virgin before today but The Bride assures me that this was sensational wasabi sauce. The fries themselves are very thin potato sticks, quite similar to those at the Continental. They’re crispy, but not too crispy, just right. It was a large portion, with the wasabi hitting all of them, which was good. 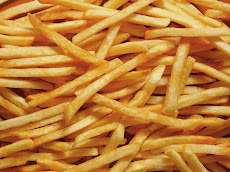 It was hard to find any fries that did not have sauce on them, good distribution. When I did find one or two without sauce, they were just as good. For my actual meal, I had the yakitori chicken with teriyaki sauce, which was great, and dessert was vanilla ice cream with tempura fried banana... mmm... This was a terrific meal and experience. We will definitely be back, highly recommended, and not just for the fries.